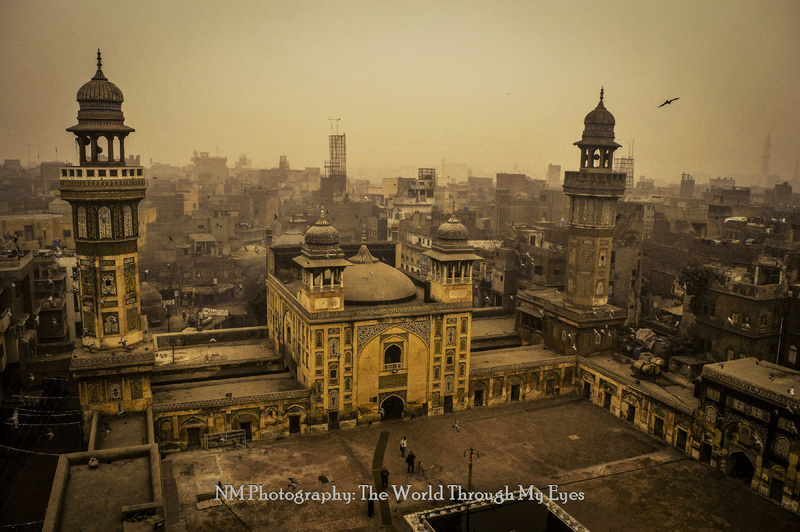 I grew up visiting nooks and corners of Lahore with my father as a weekend trip. 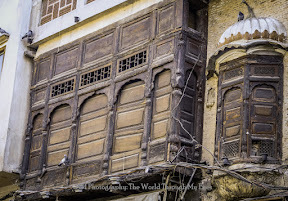 From Lahore Fort to Data Darbar, streets of Bhati Gate to Anarkali food street, my father made sure that Lahore’s heritage was a major part of my upbringing. 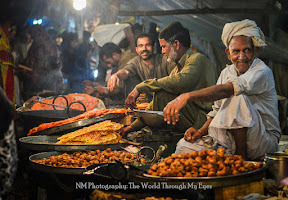 This urge to visit Lahore has been there in my heart ever since and I go out on the streets to replenish it every now and then. 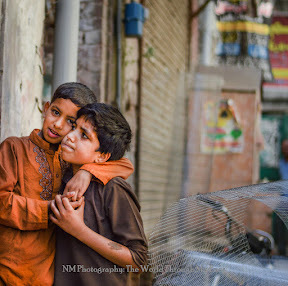 For more than a year, I have been going out to the walled city, talking to people, understanding their stories and clicking their portraits. I don’t consider myself a photographer, but I think I picked up a camera with an intention to capture their stories and to share them, at least with the people I know. We see tons of photographers every day going to the walled city, capturing its lights and its people, yet the craze doesn’t fade away. Today I thought, as one of those crazy people, I’ll share my reasons for going there in this scorching heat and mind-boggling traffic. 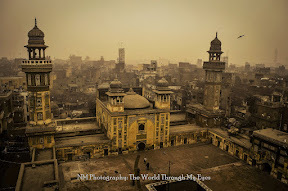 The Walled city is a small world within this huge city of Lahore. 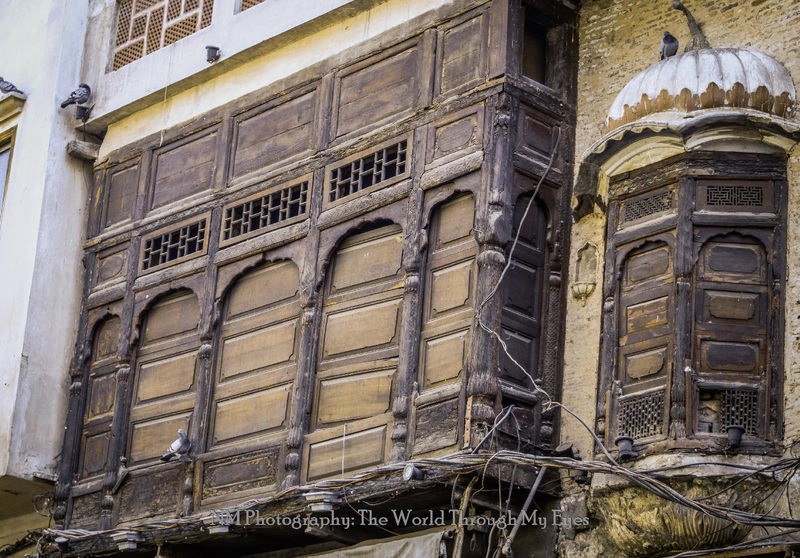 Tourists are mostly fascinated by the architecture, but they miss out on the most interesting part i.e. 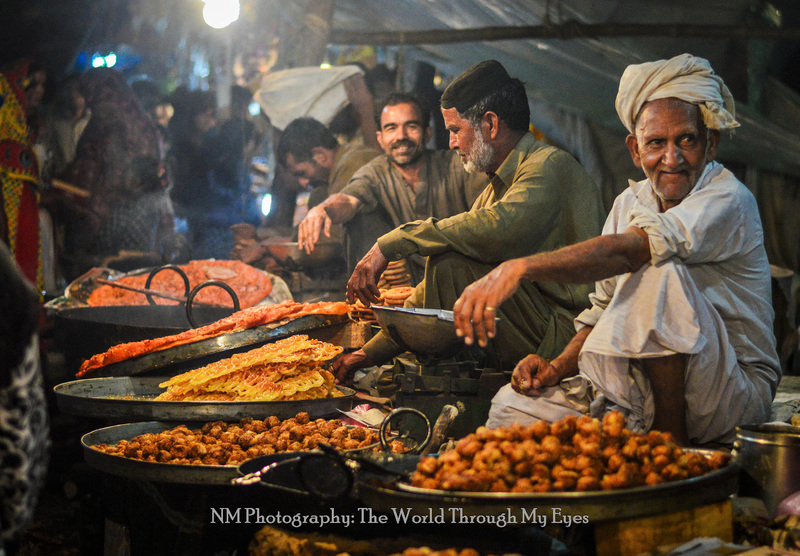 people of the walled city. Yes! The thing which attracts me as a photographer is these people and their simplicity. It has a culture of its own; these people are not pretentious at all, rather they’re very humble, generous, and kind. 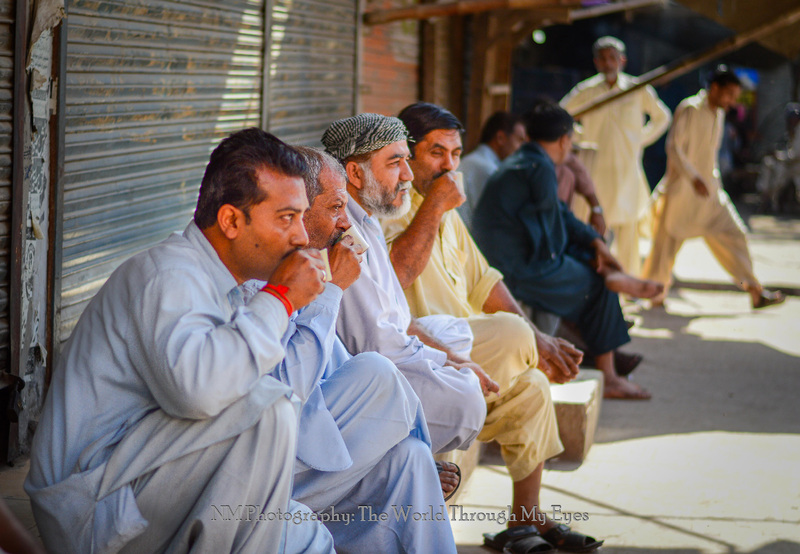 They have sheer warmth and don’t hesitate in sharing their stories with anyone. Just say salaam (hello) and they’ll even be willing to offer you free food with a warm cup of tea. Their shops are small, pockets even smaller, but their hearts are big enough to share anything they own. You don’t see such generosity and simplicity anywhere else, not even within your own relatives anymore. 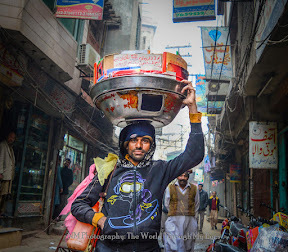 Item seller in the streets of walled city. 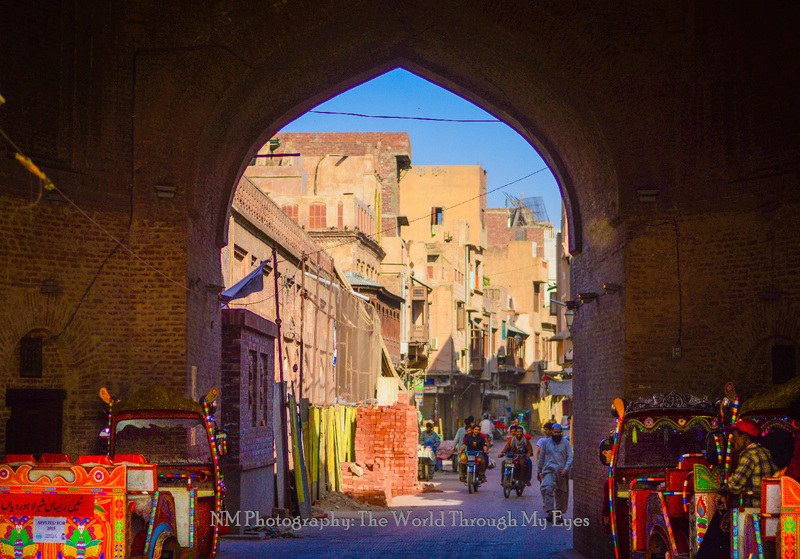 The other thing which further accentuates the importance of the walled city is the cultural mix it offers. From colourful katlamas (deep fried stuffed bread) to handmade necklaces, from siri paaye (cow trotters) to street vendors selling anything and everything; the walled city has a lot of diversity to offer. 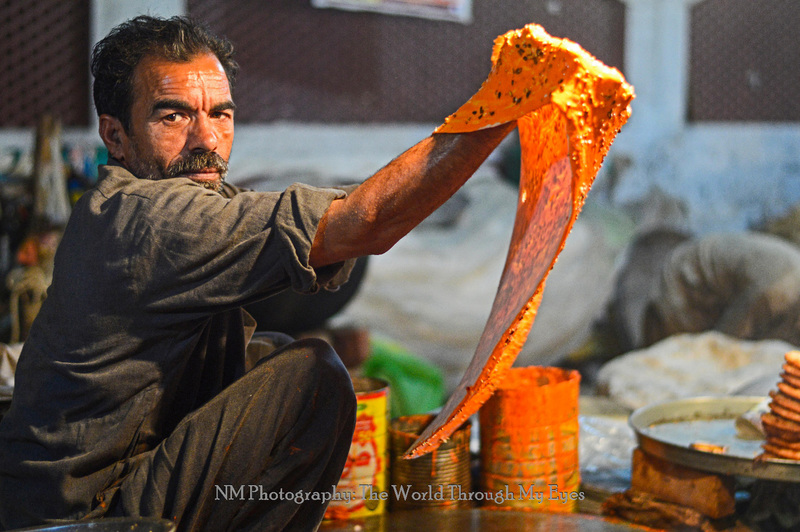 A few weeks ago, I took a shot of a man while he made this incredible bread called katlama. 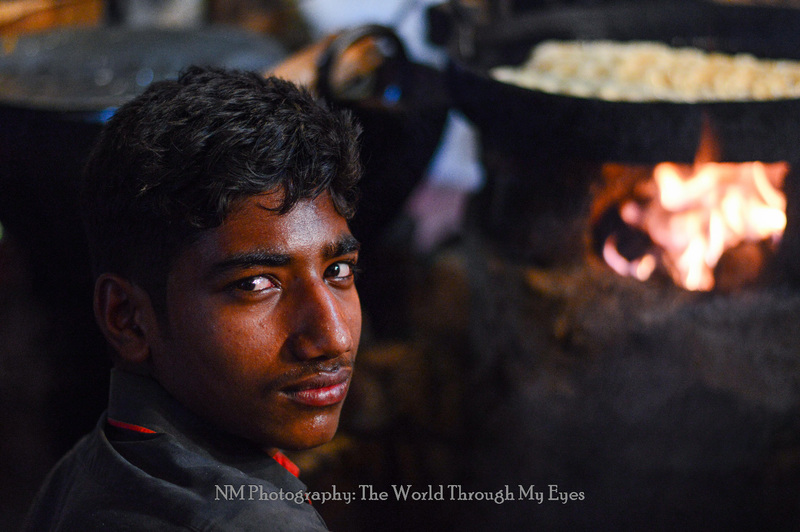 He posed and created a beautifully huge round piece, and to my surprise, he gave me a generous piece of that bread for free. Can you imagine giving away your asset for free when you’re barely making enough money to make both ends meet? 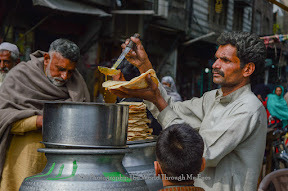 This hospitality is to be seen literally everywhere in the walled city. Astounded and awe struck, I realised that everyone everywhere is quite different from our expectations. 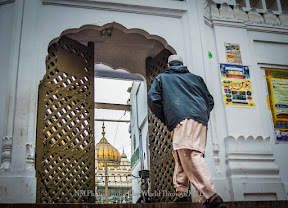 And these sorts of eye opening experiences are another highlight of the walled city. But of course, every place has its flaws as well. In this case, they might be minute, but exist nonetheless. For instance, it’s not safe for females like me to visit these places alone because there’s always someone who can tease and harm you. Furthermore, there’s no proper place for parking and the traffic can get horrible after mid-day. But to sum it up, the experience in itself is worth all the hassle that I go through, something new every single time. Exposure to the walled city and its people is a good way of reinforcing values like simplicity, humility, and generosity in my personality. I know it’s hot outside and the odds are against anyone visiting the walled city, but the experience is worth every bit of difficulty you face. 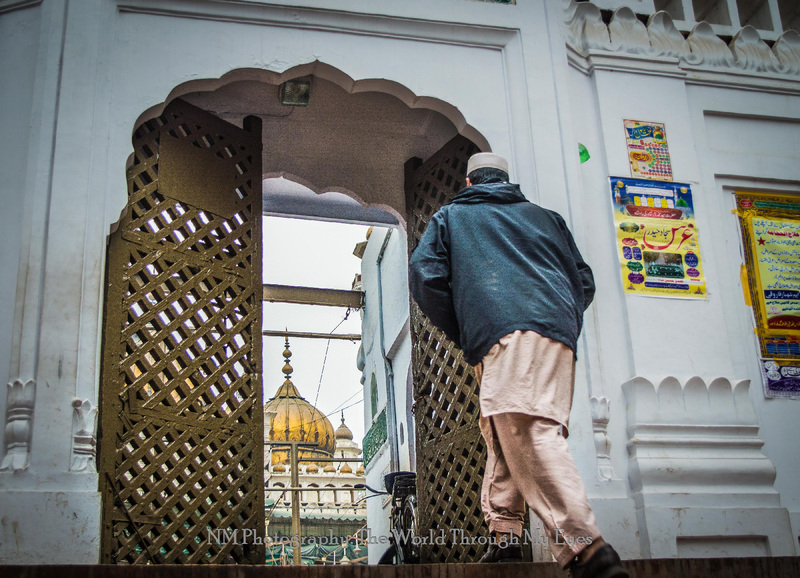 Make sure you take your children or younger ones along with you in order to establish a connection with our traditions. In this world of pretentiousness, take some time out and meet the people who have only sheer warmth to offer.